The first Monterrey street style blogger to showcase her look on Chictopia was AnniBeniara of beniarascloset.blogspot.mx in Summer 2008. She wore her black dress with a black gladiator sandals shoes, purple purple bandana accessories, and owl necklace necklace. 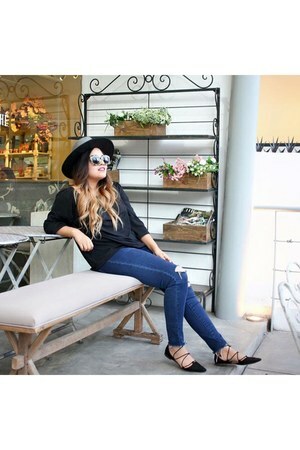 Since then, 147 Monterrey street style bloggers have uploaded over 596 photos of their personal style to the community. Popular brands worn in Monterrey include Zara, Forever 21, vintage, and MISS MARS. In summer 2015, blogger AnniBeniara of beniarascloset.blogspot.mx wore her black 579 leather jacket jacket on Chictopia.